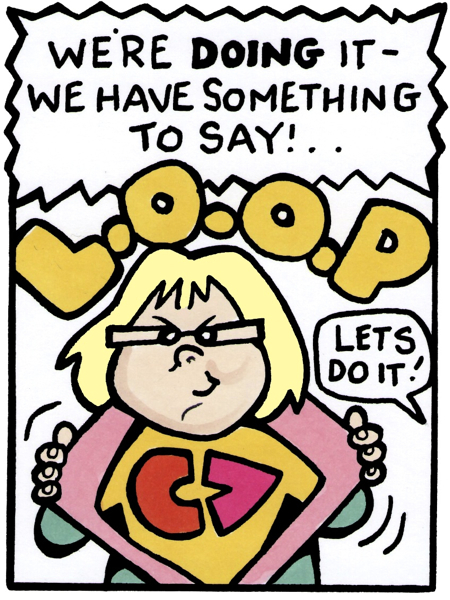 LOOP 02f – Scottish Cartoon Art Studio - 20 years in business! LESLEY feels so empowered by CLF she starts to turn into a superhero. The rest of the team are excited.